Richard Louv’s words speak volumes to the wilderness therapy community. Well-loved, dog-eared copies of Louv’s bestselling titles can be found in many a field guide’s backpack, and his coining of the term “nature-deficit disorder” has helped to bring the concept of wilderness therapy to a wider audience. The Planning Committee for the 2014 Wilderness Therapy Symposium is pleased to announce that Richard Louv will deliver the Keynote address at this year’s event. 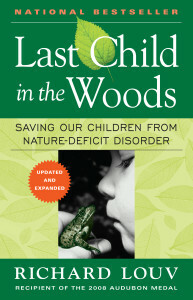 Louv’s bestselling Last Child in the Woods: Saving Our Children From Nature-Deficit Disorder has been translated into 10 languages and published in 15 countries, and has stimulated an international conversation about the relationship between children and nature. 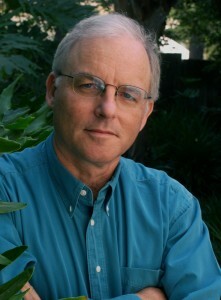 Louv is also the founding chairman of the Children & Nature Network, an organization helping build the movement to connect today’s children and future generations to the natural world. The 2014 OBH Council Wilderness Therapy Symposium will be held this year in Park City, UT at The Canyons resort, August 28-30. Stay tuned for more information about the Call for Presentation Proposals and registration – this year’s event is not to be missed!